Palumbo and the Funk - Get It Right. 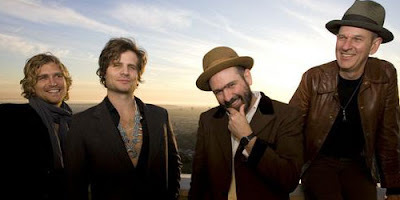 Background words - Boasting a line up from around the world Palumbo and the Funk have been regulars on the London scene with audiences loving their Rock/Funk vibe. BBC Introducing have been early champions along with Gary Crowley who described them as "a musical powerhouse". Palumbo and the Funk got a kick start in with their award winning self produced EP, Rock The Funk which won the Jazz/Funk/Fusion Category at the Independent Music Awards (IMAS) in 2014. 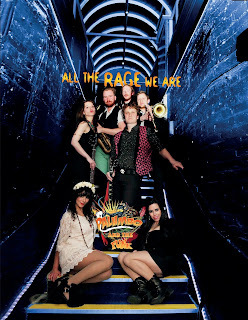 The title of their debut album “All The Rage We Are”, is a take on the famous jazz tune “All the things you are” and encapsulates a “funk rock sound” but the genre becomes more “rock with horns” with each track. Musically, it’s groove with sonic depth and you find more hooks each time you hear the tunes.Lyrically, there’s a story to tell in each song. ARMS - Keep It Light. Background promo - ARMS and Paper Garden Records have teamed up yet again to release the project's second full-length album, Patterns, which is set to be released worldwide in late May. 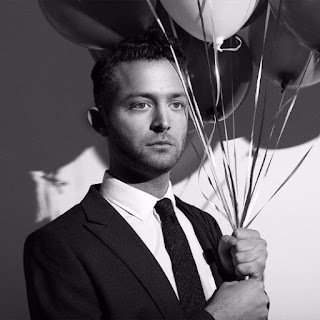 With influences stemming from David Bowie and German rock band, Neu!, Todd Goldstein says the song 'Keep It Light' is "an open letter to the voices in my head that delight in telling me to tone it down, to rein it in, to not frighten or disturb anyone with my behaviours or feelings." 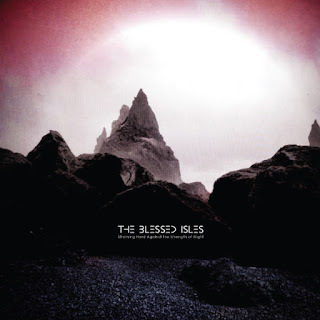 The Blessed Isles - Caroline. Background promo - They say good things come to those who wait, and in the case of Brooklyn’s The Blessed Isles, the adage bears out. After five years of recording in studios across four states, the band stands poised to inject a much-needed dose of substance into the shoegaze bloodstream with their debut LP, Straining Hard Against the Strength of Night. Not satisfied to merely recreate the genre’s trademark textures, vocalist and guitarist Aaron Closson (The Hourly Radio) and multi-instrumentalist Nolan Thies (N?TIONS) put a premium on songcraft, fashioning melodies that seamlessly reinforce the tell tale shoegaze soundscape. At their core, these are finely wrought pop songs that would shine in any genre, but are fully realised in the gossamer intricacies and stentorian pulse of Straining. Meredith- How Could You Believe That. Background promo - Brisbane indiefolk/pop chanteuse Meredith is making her return to the scene in the form of sinister synth-laden slow burner 'How Could You Believe That'. The single is a twinkling yet unsettling exploration of how a toxic relationship can affect not only the sufferer themselves, but also those closest to them. Meredith's aptitude for catchy, opulent production earned her high praise when her debut single 'Jumpin Beds' was released in 2014. Her most recent single 'Levels' has amassed 200k+ plays on Spotify - making into the UK viral 50 - was played on triple j, and the pastel-tinged accompanying clip was added to rotation on rage. 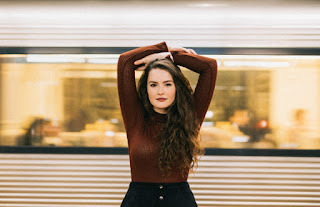 All this attention led to a bevy of enviable support slots with artists such as Machine Age, Avaberee, Timberworlf & The Once (CAN) - and she'll be supporting San Cisco at their upcoming sold out Brisbane show. American Music Club - Live At Canes 2005 (IA). From the Internet Archive this is American Music Club (AMC) Live at Canes, Mission Beach (San Diego), CA, on the 18th November 2005. AMC were opening for Spoon and this was the last show of the tour. As one commentator put it - AMC opening for Spoon? That ain't right. And it sounds like some of those Spooners weren't bothering to hide their disdain, as evidenced by Mr. Eitzel's comment after the first song, "You don't have to like it; I don't care." Despite the audience, this is a great set with lots of stuff from AMC's then new album, including a high-energy performance of "Home." Twin Haus - I Used To Think. Background words - Recently signed to Brisbane indie label, Bedlam Records, Twin Haus now look to their fourth successful national run this April, bringing an energetic and mesmerising live show to stages around Australia. The band’s diverse brand of psychedelic and ambient rock has recently seen them perform in support of acts such as; Tonstartssbandht (USA), Viet Cong (CAN), Dune Rats, Millions, Gang of Youths, Tijuana Cartel and The Medics, to name a few. 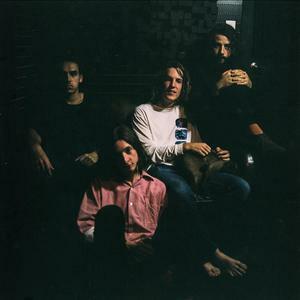 2015 saw them headline Brisbane’s renowned Psych Night, perform at Port Macquarie’s Festival of the Sun, as well their most recent single ‘I Used to Think’ premiered on Rolling Stone Australia which continues to receive attention nation-wide from the likes of Triple J, FBi, Triple R, PBS Melbourne and 4ZZZ. The band’s awaited follow up EP ‘Nothing Lavish' recorded by Steve Kempnich and produced by ARIA award-winning producer Tim G Carr, is scheduled for full release March 2016.